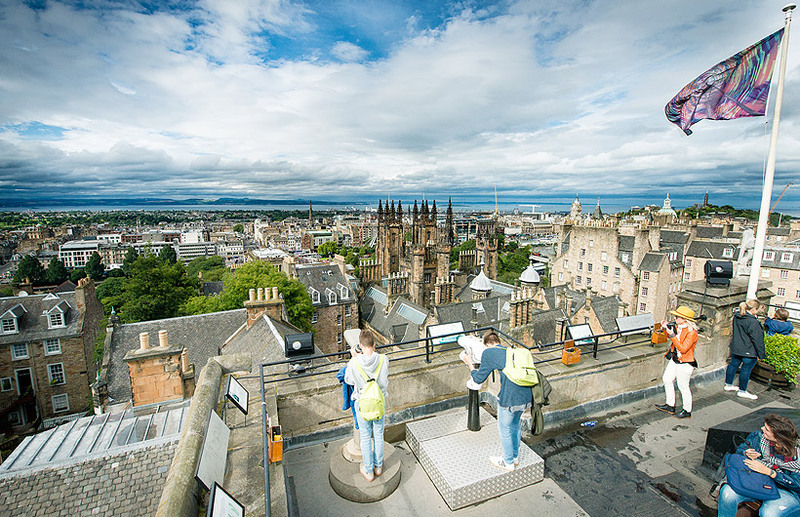 High above this World Heritage Site, our Rooftop Terrace offers a blockbuster panorama of Edinburgh’s famous attractions. The Royal Mile, Edinburgh Castle, the Firth of Forth – all your favourites are here. It’s an unbeatable vantage point, unless you’ve packed a hot air balloon in your suitcase. Now get even closer. Grab a telescope or pair of binoculars – they’re completely free. These powerful beauties will swoop you right down to the action on Princes Street Gardens, or all the way up to Arthur’s Seat. And that’s the Kingdom of Fife you can see to the north. Take it all at your own pace, high above the Royal Mile’s crowds and queues. Visiting after dark? Get prepared for goose-bumps. Our floodlit city looks fantastic at night – from the Scott Monument to the world-famous St Giles’ Cathedral.